Ordinary matter, which makes up everything that we know — stars, planets, people — corresponds to five percent of the Universe. Only about half of this small percentage has actually been discovered; the other half has, until now, eluded scientists. Numerical simulations have made it possible to predict that the rest of this ordinary matter should be located in large-scale structures that form the “cosmic web” at temperatures between 100,000 and 10 million degrees. Scientists are the University of Geneva (UNIGE) in Switzerland have observed this phenomenon directly. Their research, recently published in Nature, shows that the majority of the missing ordinary matter is found in the form of a very hot gas associated with intergalactic filaments. Galaxies are formed when ordinary matter collapses and then proceeds to cool down. In order to understand the origin of this formation, it is required to understand the form, as well as the location of the ordinary matter that we do not perceive (missing baryons) is located. 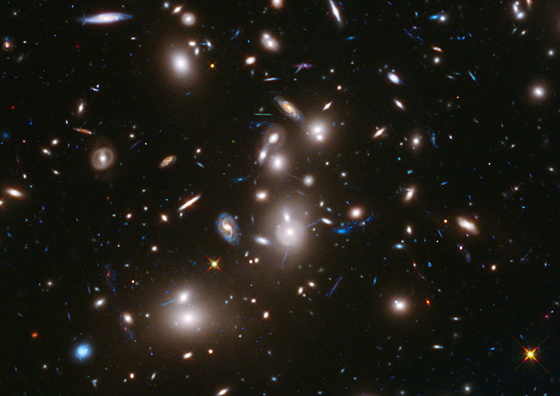 Astrophysicists from UNIGE and the Ecole polytechnique fédérale de Lausanne (EPFL) focused on Abell 2744, a massive cluster of galaxies with a complex distribution of dark and luminous matter at its core. The researchers observed this cluster with the XMM space telescope whose sensitivity to X-rays allows it to detect signatures of very hot gas. Previous large-scale galaxy research has shown that the distribution of ordinary matter in the Universe is not homogenous, instead, it is concentrated into filamentary structures. These structures form a network of knots and links, referred to as the “cosmic web,” which connect to one another through filaments. Researchers were able to measure the temperature and density of these objects by focusing on the areas where they suspected to find these filaments. “Now we must verify that the discovery of Abell 2744’s missing baryons is applicable to the entire universe. This will consist in studying these filamentary regions in detail, and measuring their temperature distribution and the various atoms that compose them, in order to understand how many heavy elements there are in the universe,” says lead scientist Dominique Eckert in the press release. If you would like to learn more about this story, please check out this article. A new study conducted by NASA has revealed that Antarctica has actually seen more cumulative ice gains than it has seen losses. The study, led by Glaciologist Jay Zwally, shows that while the Antarctic Peninsula and parts of the West Antarctic continue to lose ice, the eastern side of the continent and interior of West Antarctica have recorded significant ice gains. Furthermore, it has been determined that the ice caps are not actually contributing to the rising sea levels as much as scientists have originally thought. These groundbreaking conclusions are based on new measurement methods that examine the height of the region’s ice sheet view satellites. Until these discoveries were reported by NASA, it was believed that ice loss in Antarctica was the reason for the rise in global sea levels. Scientists believed that Antarctica was adding around 8% to global sea rise. The rising sea levels is a concern for many coastal cities around the world, such as Miami, where recent high tides have caused flooding. If Jay Zwally’s study proves to be correct, it would mean that Antarctica is not contributing nearly as much to the increasing sea levels as originally thought. Scientists may very well be underestimating the impact of other possible sources of rising sea levels, including melting from Greenland or the heating of the oceans. If you would like to learn more about this discovery, please check out this article. With The Discovery Of Water, Is Life Possible On Mars? NASA and the world news has been buzzing since researchers discovered the best evidence yet that Mars does indeed have water on it. As the most similar to Earth of all the planets, it has many wondering: could life on Mars be a viable option? As fresh and clean water becomes less and less available on earth (and extracting salt from water is still expensive), finding other sources of the most necessary ingredient to life is growing in importance. 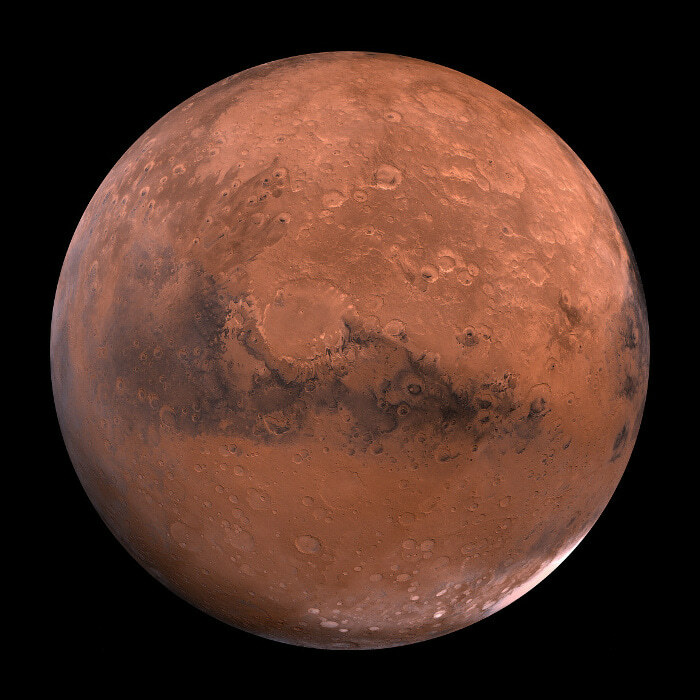 With the knowledge of dried up riverbed and sedimentary rock formations, we were aware for a while of Mars’ watery past (most likely over a billion years ago), but it was assumed that it was in the past. Signs of erosion were examined, which helped determine that at one time Mars had oceans along its surface going over a mile deep. But this water source was depleted as the planet lost its protective magnetic field from strong solar wind. Now equipped with imagery of the water formations along the mountains of Mars, it would seem possible to make it a harvestable place to grow vegetation for consuming, but there is a problem. The water is poisonous. It’s filled with perchlorates, which are lethal to humans, but the water can be treated and processed into drinking water. Since the discovery, researchers are wondering if there is a water spring or gusher still waiting to be found. With more knowledge, the possibilities could be endless. Info courtesy of Forbes and Time. Scientists have recently discovered the smallest supermassive blackhole to date. Using NASA’s Chandra X-ray Observatory, astronomers were able to spot the blackhole lurking in the centre of a dwarf galaxy. Located around 340 million light-years away from us, this blackhole is 50,000 times the mass of the sun. While this may sound large, when compared to the previous smallest object of its kind, this blackhole is actually two times smaller. Supermassive blackholes are thought to form and evolve with the host galaxies whose centres they inhabit. Every large galaxy is believed to have a supermassive blackhole at its centre. 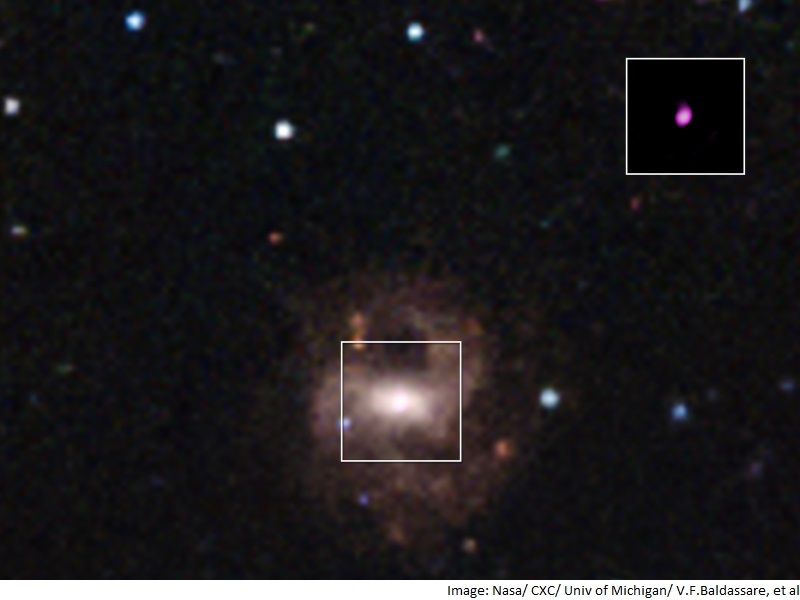 This discovery, however, is the first supermassive blackhole found to be identified in a dwarf galaxy. To learn more about this discovery and what it means for astronomers and researchers alike, check out this article. NASA’s Mars Opportunity rover has been on Mars for 11 years and has covered a large distance during this time. 26.2 miles in fact, the distance of a marathon. The rover has captured amazing images and has allowed us to learn a great deal about the planet. To commemorate the event of Mars Opportunity rover completing a ‘marathon’ NASA has released a video that allows you to watch the entire journey it has taken throughout its mission to mars. It is a great video that gives you a amazing perspective of the planet. I highly recommend you take the time to check it out. Enjoy your trip to Mars! Elon Musk, the entrepreneur behind such futuristic designs as the car company Tesla and the SpaceX program, now has his sights on a new form of travel. He is looking to develop a high-speed Hyperloop transportation system that will allow people to commute from San Francisco to Los Angeles in under a half hour. Traveling in a low pressured steel tube at speeds of almost 1,287 kmph, it is certainly unlike anything we have ever seen before. Elon Musk has announced that he is planning to build a test track to determine the viability of such a transportation system. You can learn more about the project here. I found this interesting article that I thought I should share, which talks about the Smithsonian’s National Museum of Natural History’s plan to capture the genomic diversity of half the world’s living plant genera over the next two years. The Smithsonian will be partnering with the US Botanic Garden, the US Department of Agriculture’s US National Arboretum and the Global Genome Biodiversity Network. The project comes at an extremely important time as the rate of species extinction for all life is estimated to be up to 100 times higher than normal, according to the Smithsonian. Global Genome Initiative Director Jonathan Coddington said that the project is looking “to preserve and unlock the genomic mysteries of plants.” This should certainly be an exciting project to follow over the next few years. A new social network could facilitate the exchange of scientific ideas… and save literally billions of dollars in the process. A major problem facing the scientific community is the issue of transparency and availability for data and results. For example, Forbes recently profiled a Yale PhD candidate who desperately needed the original results of another lab’s similar experiment to complete the testing of his own hypothesis. However, it was difficult to access this information. For many lab scientists, this means the experiment in question must be replicated in order to get those results. The problem is that experiments can be expensive, and replicating some just to get data that’s already out there can add up to be a costly bill. By some estimates, as much as $27 billion is used on replicating experiments. An app called protocols.io seeks to change that. A social network for scientists, it serves as an open resource for these results to be readily available. The Very Hungry… Killer Whale? This doesn’t exactly qualify as news, but it is fascinating none the lesser. The Guardian recently ran a fantastic piece on an orca whale discovered in the 1860’s that, upon dissection, was revealed to have quite the appetite. The piece goes into the gastronomic details at length, but let it be said that the whale was found to contain the remains of just over two dozen seals and porpoises. It even made its way into pop culture at the time, being featured in Jules Verne’s 20,000 leagues under the sea. A new species of firefly has recently been discovered in Southern California by an undergraduate student by the name of Joshua Oliva. Joshua was collecting specimens for his semester insect collection. The Entomology Research Museum made the announcement of the discovery at the University of California in Riverside yesterday. Doug Yanega, the head of the museum confirmed the find after Joshua Oliva had brought it to him to inspect. When Joshua had first collected the inspect he was not sure what it was exactly that he found. He decided to bring it to Doug Yanega for a second opinion who then confirmed that it was a firefly. Doug has a great familiarity with the area and after seeing the specimen knew that this firefly was something new. Experts at the University of Florida also had a chance to inspect the insect and agreed with Yanega that the specimen is a new species of firefly. The formal announcement was made because the habitat where the firefly was found may end up requiring some protection as they continue to try and learn more about the species. While the discovery is certainly a big moment, especially in Joshua Oliva’s early career, discoveries of new species of insects is actually a fairly common occurrence. A name for the new species has yet to be determined as they look to uncover more evidence on the species beforehand. This process may end up taking several years to complete. However, there is a chance that we will see the new firefly named after Joshua, as the practice of naming a new species after the person who discovered it is a fairly common practice.